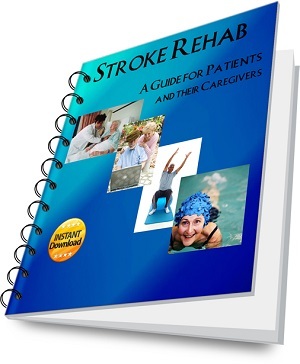 A patient is often overwhelmed by the number of stroke rehab exercises especially after being in the acute hospital, inpatient rehab, and outpatient therapy clinic and coming home with multiple home exercise programs. The stroke survivor must rely on their therapist for exercise instruction so it is of utmost importance to have a therapist experienced in working with stroke victims. Below is a list of various types of stroke rehab exercises. For more specific examples of exercises, click on the underlined exercise name. For examples of inexpensive home exercise equipment for rehab, please visit www.stroke-rehab.com/home-exercise-equipment.html. You can also subscribe to my stroke blog page to get the latest updates to this website regarding exercises, treatment information, and answers to questions from stroke patients. Passive range of motion refers to an external force moving a body part rather than it moving on its own volition. Examples would be a patient taking his strong arm and moving the weak or paralyzed arm, a caregiver or therapist moving an affected limb, or a machine moving an extremity. Passive range of motion is important to maintain flexible joints and prevent joint contracture. Joint contracture occurs when there are structural changes to the soft tissue such as tightening or shortening of muscles and tendons that restrict movement. It is important to perform passive range of motion even if you have experienced total paralysis because a contracture can predispose one to skin breakdown, tissue irritation, pain, decreased blood flow, and prevent one from moving a limb if muscle function does return. Joint contractures also interfere with activities of daily living such as trying to wash under one’s arm, donning clothing over a contracted elbow or knee, or cleaning the fingernails of a contracted hand. To see pictures of how to do self passive range of motion, click here. The video below shows how each joint is moved through passive range of motion by a helper. The subject in the video does not have a stroke and has full range of motion. When performing passive range of motion on a stroke patient with limited range of motion, the exercises would only be done in a pain-free range, performed more slowly, and the helper should be aware of the patient's available movement or range of motion. Never force movement if you feel resistance or the patient expresses pain. A licensed occupational or physical therapist can teach caregivers how to do passive range of motion on a stroke patient. Active assistive range of motion occurs when a weak limb is assisted through movement. The weak limb is helping but cannot perform all of the work on its own. An example would be someone that could only partially lift their arm and a therapist assists them in lifting the arm further (or they use their strong arm as an assist). Active assistive range of motion is helpful in strengthening a limb that does not yet have full range of motion. The following video is an example of active assistive range of motion. Active Range of Motion (AROM) occurs when a person can move a body part on their own without assistance. Many stroke patients with movement on the weak side may not be strong enough to add resistance exercises and may perform active range of exercises. AROM helps promote joint flexibility, strengthening, and increased muscular endurance. Click here for examples of leg active range of motion exercises. 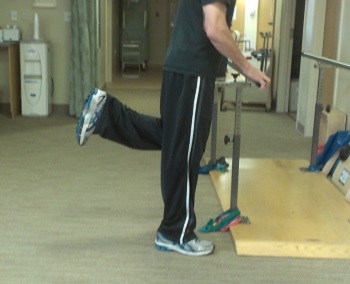 Stroke rehab exercises often consists of strengthening activities that involve moving a body part against resistance. This type of exercise will gradually and progressively overload the muscles so that they will get stronger. There are many types of strengthening exercise equipment including bands, dumbbells, tubing, putty, and exercise machines. Click here for examples of arm strengthening exercises. Stretching Exercises – Muscles often become tight or have tone after a stroke. Stretching or performing flexibility exercises on a regular basis can help prevent joint contracture and muscle shortening. Sometimes manual stretching is not enough and a patient may need a splint to help stretch tight joint and muscles. Flexibility can often be improved through classes such as Yoga, Pilates, and Tai Chi, but it is important for a stroke patient to find an instructor that is experienced in working with clients who have disability/mobility issues as exercises will most likely have to be adapted for safety. Weight Bearing Exercises are often unfamiliar to patients but can be some of the most important exercises that one does. 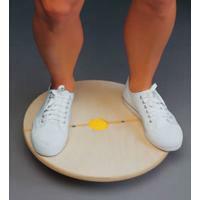 Weight bearing can help improve balance, reduce excessive tone brought on by a stroke and strengthen weak muscles. One of the most important reasons to do weight bearing is to help prevent bone loss. If a stroke victim tends to put all of their weight on the strong leg, then the weak leg will begin to experience decreases in bone density. This bone loss can lead to “brittle bones” which also puts a person at higher risk for fractures. It is important to do weight bearing for the arms and legs. The muscles that attach to the scapula (or shoulder blade) are often affected after a stroke. These muscles may become weak or have increased tone. If the scapula cannot move properly, one cannot lift their arm overhead. If the scapula is unstable, then arm movement may be jerky or uncontrolled. Scapular mobilization exercises help move or mobilize the scapula in order to maintain or improve shoulder range of motion and prevent pain. Stroke victims often have poor balance. If balance is affected, one of the first things a patient must learn in stroke rehab is the ability to maintain their balance in sitting. Sitting balance exercises focus on strengthening the core or trunk musculature. Standing balance exercises will help improve a patient’s ability to stand in place as well as walk or perform activities without loss of balance. Balance exercises are important in helping prevent falls. Click here for examples of balance training exercises. Coordination exercises for gross motor skills emphasize fine tuning large muscle movements such as walking, throwing, and moving the limbs in a coordinated manner. Fine motor skills involve hand dexterity which is important for picking up objects, feeding oneself, buttoning clothes, writing and many other activities. Fine motor exercises help a patient improve use of the hand for manipulating small objects. Click here for hand exercises. Constraint Induced Movement Therapy (CI Therapy or CIMT) sometimes referred to as forced use therapy by some is a stroke rehab technique which involves limiting the movement of the strong side or non-affected side and “forcing” the weaker or affected side to attempt activities. 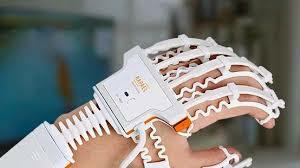 This technique was developed by Edward Taub and his research team at the University of Alabama at Birmingham (UAB) and usually consists of using a sling or mitt for 90% of waking hours on the non-affected arm, while intensively trying to use the more-affected arm. Modified CIMT (mCIMT) has also been developed by Stephen Page and colleagues as a less intense but more practical treatment that involves the same principles as CIMT but with less time than traditional CIMT. Stroke survivors may suffer visual problems such as visual field loss, visual spatial disorders, impaired eye movement or double vision. 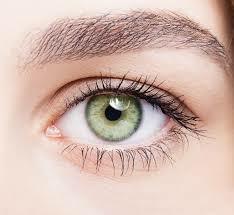 Eye exercises can help with these visual deficits. Vision therapy is often overlooked in stroke rehab. If you have visual impairment following a stroke, ask your occupational therapist or an optometrist about eye exercises. Participants in a 2009 study actually regained some of their visual field loss after doing eye exercises for an extended period of time. Following stroke, one may have decreased sensation, numbness, or tingling. This can be especially difficult if sensation is impaired in the hands. Forms of sensation that can be impaired are detection of heat/cold, pain, light and deep touch. Stroke patients may also be unable to discriminate where they are being touched (i.e. touch on the elbow feels as if it occurred on the upper arm). Decreased sensation can greatly impair the use of hands causing one to drop objects, have difficulty with fine motor tasks, and be at risk for burning oneself. 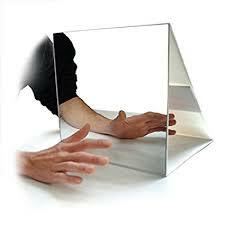 Sensory re-education involves retraining the sensory system in the attempt to improve sensation and hand function. Swallowing Exercises – Dysphagia or trouble with swallowing can be a very serious impairment even life threatening. If food or drink enters into the lungs rather than the stomach, this is called aspiration and can lead to aspiration pneumonia. A licensed speech pathologist or speech therapist can help a patient with improving swallowing. 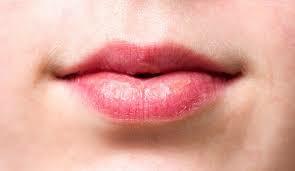 The speech therapist can also recommend the appropriate diet to prevent aspiration. This may include thickened liquids, pureed food, or even nutrition through a feeding tube if a patient’s swallowing is severely impaired. One may not even be aware that they are aspirating food or drink so it is important to have a swallow study after a stroke and participate in any exercises or recommendations made by the speech therapist. Exercises to improve cognition may be directed at memory, problem solving, reasoning, following directions, initiation of activity, and comprehension. A speech therapist will often work with a patient on these exercises, but an occupational therapist may also work on cognitive activities with a patient to help with daily tasks such as paying bills, cooking, and work activities. There are many cell phone apps and online websites that offer brain training, but these online exercises may not necessarily carry over into improvement in everyday functioning, so it is best to also include real life cognitive practice rather than only doing computer activities. Exercises to improve speech may aim at improving articulation due to weak mouth and tongue musculature or improving a patient’s inability to recall or understand words. Stroke patients with expressive aphasia, receptive aphasia, and dysarthria will all need speech therapy. For more information on stroke rehab exercises for speech, you can visit www.speech-therapy-on-video.com. Other stroke rehab exercises include the use of technology and robotics ,mirror box therapy, graded imagery, and more. There are many devices on the market today to help with stroke recovery as well as various types of stroke rehab exercises being developed on a continuous basis. It is important to keep up with current research to find out which stroke rehab exercises are effective. 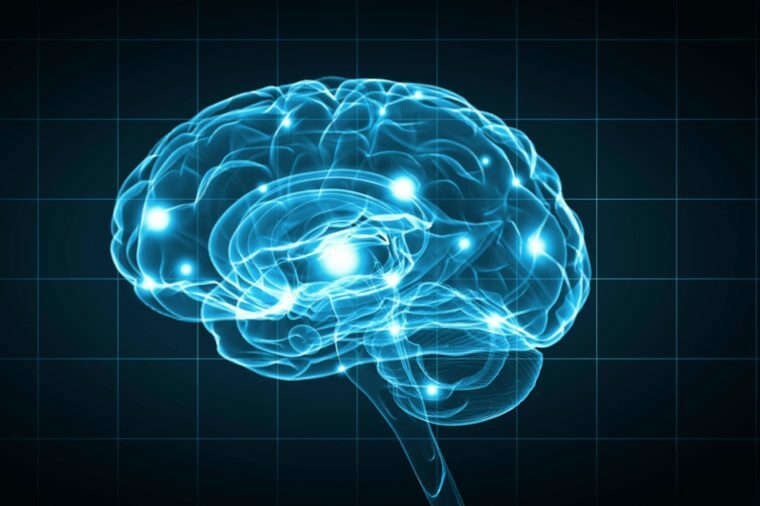 www.EBRSR.com is a website that offers information on the latest stroke research and the effectiveness of various rehabilitation techniques. Which exercises and treatment worked best for your stroke? Have you had a good experience with your stroke rehabilitation and treatment? Please share your favorite and most effective stroke rehab exercises or treatment below. Please note that submissions from others are for informational purposes only and are not professional medical advice, diagnosis, treatment or care, nor are intended to be a substitute. Always seek the advice of a physician or other qualified health provider concerning questions you have regarding your health or a loved one's health concerns. Enter the name of the exercise or treatment. Describe in your words the rehabilitation or treatment experience that worked best for you. Subscribe to Stroke Recovery Tips - A Monthly Online Newsletter/Ezine! Would you like to receive information on exercises, nutrition, apps, equipment, technology and more for stroke survivors? Then fill out the form below. I promise to use it only to send you Stroke Recovery Tips. New Stroke Rehab e-book. Click here for more info!